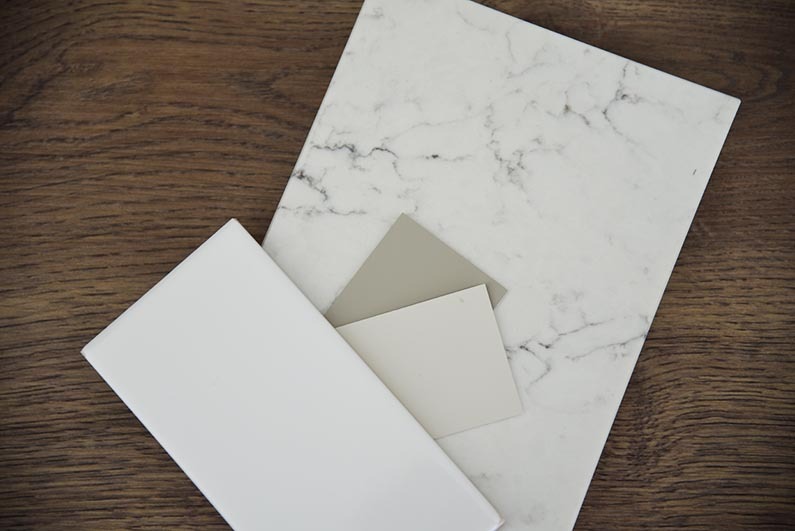 These are samples of the floor, quartz countertops, and tile that were used throughout the house reno. We ultimately chose different paint colors that were, also, in the gray family. Earlier, I told you about my House Reno Part One. I was working with a local company on the design elements and was pretty close to signing with them. However, I just wasn’t ‘feeling it’ and decided to put the brakes on the job before I committed to them. 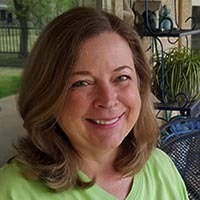 About the same time, the Best of Denton was published in the local newspaper, and Irwin Construction had been voted the best Kitchen & Bathroom Remodeler by the readers of the paper. 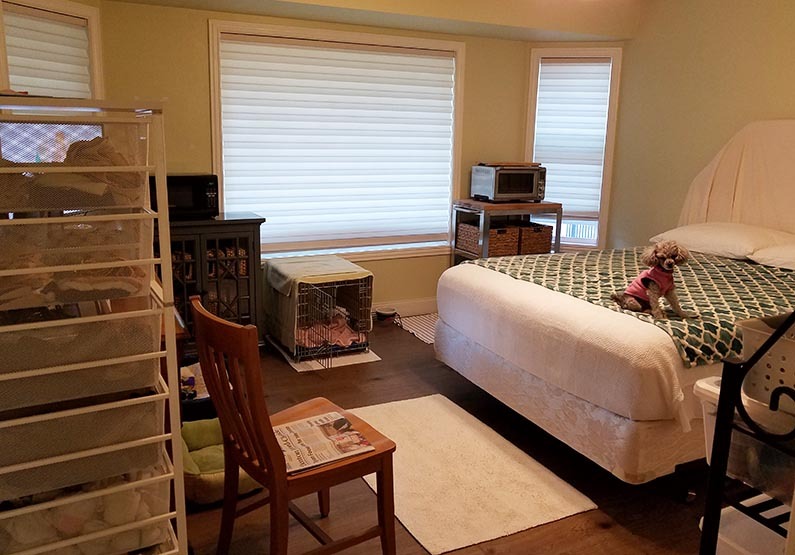 After reviewing their renovation projects on their website, I decided to contact Irwin Construction and see what design ideas they had for my House Reno Part Two. Jeremy and Kelley Irwin hit on everything I wanted and started demo a few weeks ago. If you look at House Reno Part One, you can see many of the before photos including the before-before photos. The renovation is still in progress, but I wanted to show you some of the work done so far. The wall between the dining area in the kitchen and the garage was moved about 16 inches into the garage. 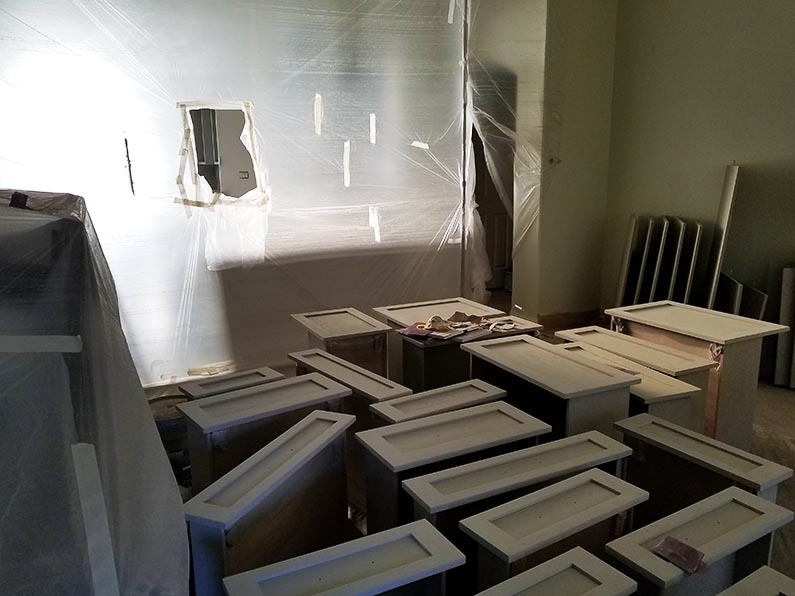 In addition to the wall shown in the photo below, they demo’d the doors from the kitchen to the laundry room and from the master bedroom to the master bath to make way for new pocket doors. 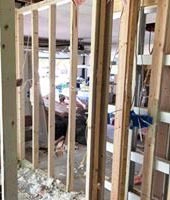 They, also, removed the sliding mirror door from the master bathroom to the closet and reconstructed the door opening where a new barn door will be installed. The floor demo was very unpleasant even though they used a dustless method. Removal was still dirty, but not nearly as bad as it would have been if they hadn’t used it. 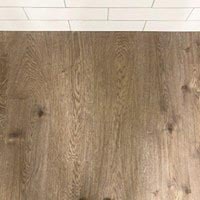 I had tile and engineered wood floor throughout the entire house. The tile removal was dustier because of the mortar and grout. However, the engineered wood floor was glued down, so it was much more difficult to remove. The entire process took over 4 days. 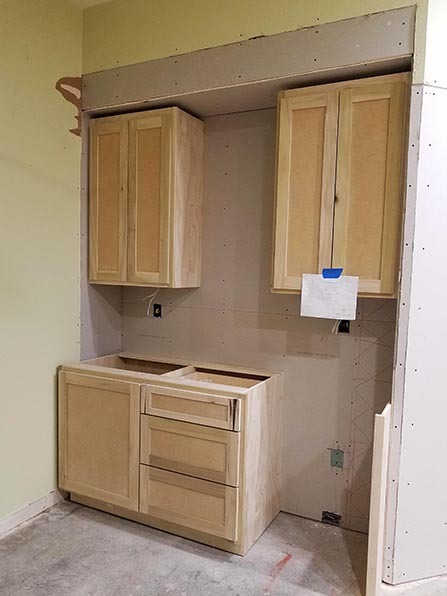 After the floor was removed, the new custom kitchen cabinets were installed. The custom kitchen cabinets are wonderful. Jeremy and Kelley and I spent a lot of time designing the perfect configuration. My sisters provided a lot of great ideas, too, particularly my younger sister, Tara, who has remodeled more kitchens than I can count. The cabinets to the left in the photo below are the new pantry. The old pantry was just a glorified linen closet stuck in the middle of the kitchen and living room. Next to it are the openings for the steam oven and microwave. A range hood will hover above the pro-style range, and the countertops on either side of the range are larger than before. 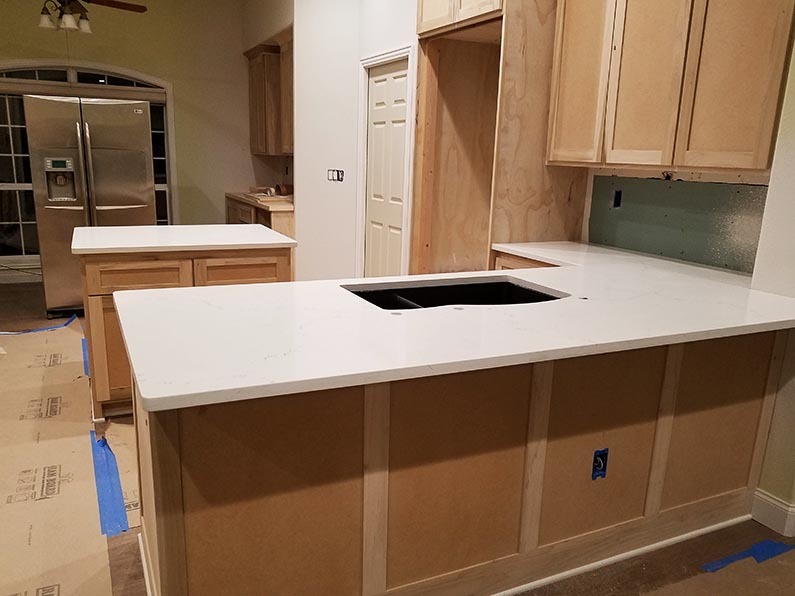 Shown in the photo below is the new bar in the dining area of the kitchen where the wall was moved. 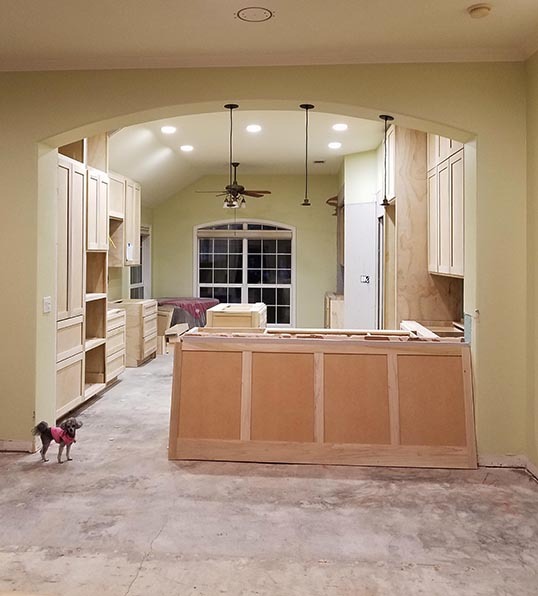 The wine refrigerator will go here, and wood shelves will span the area between the upper cabinets. 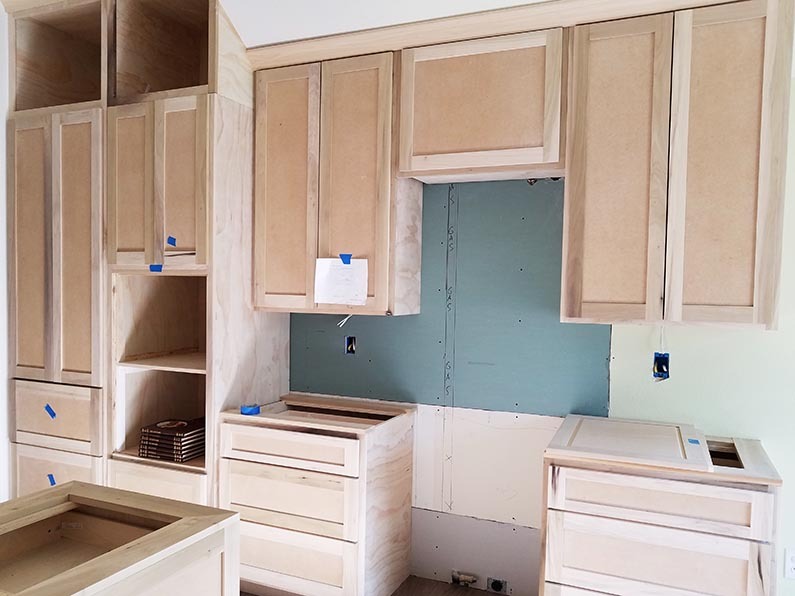 The upper cabinets will have glass fronts, and the countertop will be wood. Love, love, love the new floor. It’s luxury vinyl plank and was installed in every square inch of my house. The color is gorgeous, it has texture like wood, and it’s so durable and waterproof. The countertops in the kitchen (except the bar in the dining area) and both bathrooms are quartz. I have the same exact sink that I had before. It’s a black granite composite sink that is great for giving Izzie a bath in and doesn’t show any marks, dirt, or anything. The master bath has a tub and shower combo because I am a bath person. I end my day with a relaxing and meditative bath. The surround is 4x16 glossy white subway tile with gray grout. Here’s a sneak peak at the gray used in the cabinets throughout the house. 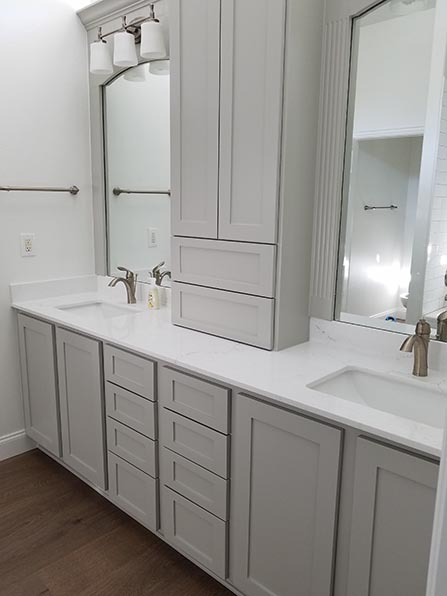 The cabinet faces on the master bath vanity were replaced with new shaker style doors and drawers. Aren’t they fabulous? I can’t wait for the kitchen cabinets to be painted. 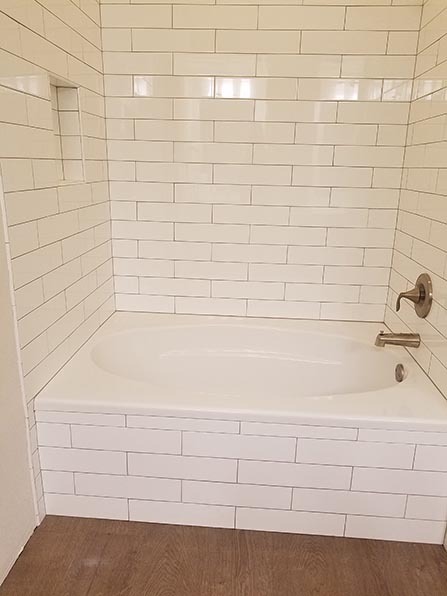 The same 4x16 glossy white subway tile that was used in the master bathroom was used in the guest bathroom shower. 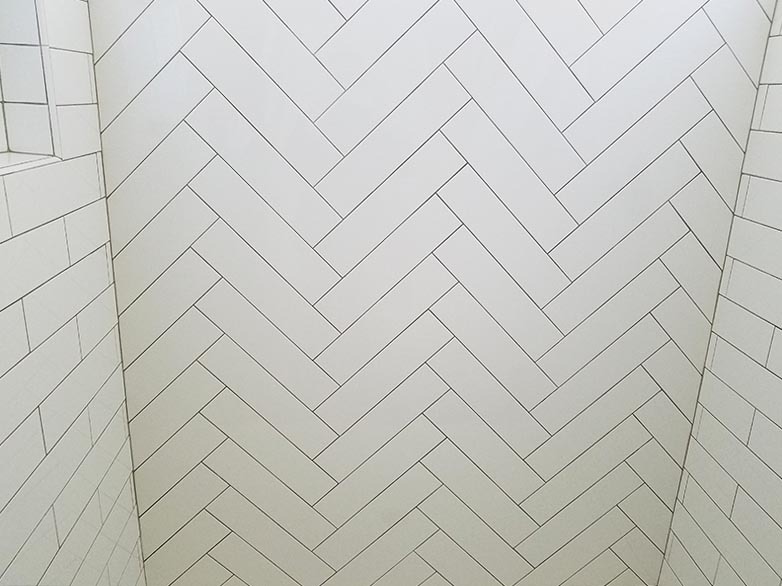 We added a bit of interest by using a herringbone design. The painters are currently painting the kitchen cabinets. The process is intense, and the painters are meticulous. I’m so looking forward to seeing the finished cabinets in a couple of days. Izzie and I are living in the guest room with a $35 microwave and toaster oven. It’s like being back in college and living in a dorm room… hahaha!!! In a few days, we’ll move to the master bedroom, so the painters can paint this room, too. In a couple of weeks, I’ll have a brand new home… well, not quite, but it sure seems like it will be. After 17 years in this house, it was time for a face lift. When the house reno is done, I’ll take more photos, so you can see the transformation. In the meantime… Cheers!